JACKSON, Miss. – For recent pharmacy graduates looking to continue their education, the University of Mississippi School of Pharmacy has expanded its residency program to five positions, with three focused in community pharmacy and two in ambulatory, or outpatient, care. Several professional organizations advocate for all pharmacists in direct patient care settings to receive residency training as a prerequisite for entering the pharmacy workforce by 2020, said Seena Haines, chair of the UM Department of Pharmacy Practice who oversees the school’s residency programs..
“Our residency programs develop highly qualified and independent practitioners who are able to provide patient-centered care in a variety of health care settings with a high level of maturity and leadership to conduct practice-related projects,” Haines said. The school offered its first residency program in 2009, a Post-Graduate Year 1 Community Pharmacy Residency Program on the pharmacy school’s Jackson campus under the direction of Leigh Ann Ross, associate dean for clinical affairs. 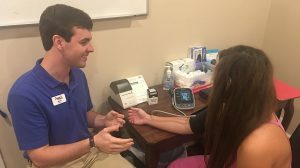 Over the next eight years, the pharmacy school expanded the programs and graduated 15 residents with the help of local pharmacies and outpatient clinics. The most recent addition is a Post-Graduate Year 1 Community Pharmacy Residency Program at Tyson Drugs in Holly Springs. Tyson Drugs’ owner, Bob Lomenick, pioneered a medication synchronization program that the school wanted pharmacy graduates to experience. This year’s resident at Tyson Drugs is Austin Crocker, a 2017 Pharm.D. graduate of Samford University’s McWhorter School of Pharmacy and a native of Madison. Crocker and Lomenick recently began providing community organizations with information about the opioid abuse crisis and overdose reversal agent training. “Community pharmacy continues to expand beyond the traditional dispensing role,” Crocker said. “As the resident, my goal is to help develop and implement new services offered at the pharmacy and in prescriber offices. Lomenick has been energized by the collaboration and the impact it’s having in his practice. 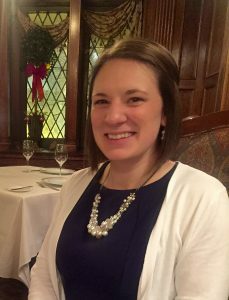 “I didn’t know what a residency program was, and it was out of my comfort zone, but I was willing to try,” Lomenick said. “Now that I’m a part of it, I realize that training residents aligns with the direction where community pharmacy practice is headed. Stephanie Ostling, a Pharm.D. graduate from the University of Michigan College of Pharmacy, practices in several different half-day clinics as one of two PGY-2 Ambulatory Care Pharmacy residents in the Ole Miss program. Ostling also teaches and precepts at the school as part of the residency, along with other PGY-1 and PGY-2 residents. “I wasn’t sure that I wanted to pursue a PGY-2, but when I learned about the opportunities this residency offered, I reconsidered,” Ostling said. “My goals for this year are to develop my role as an educator and preceptor, while also strengthening my clinical practice. The school continues to seek new ways to train well-qualified residents, bringing together Mississippi-based programs to discuss ways of advancing clinical practice. As a result of these discussions, the school developed a formal program for training preceptors – the pharmacists who train residents – as well as a Teaching and Learning Certificate Program for its residents. The program is rigorous, with each resident designing, developing and implementing instructional activities throughout the curriculum, said Stuart Haines, professor of pharmacy practice and the certificate program’s coordinator. He hopes to expand the program. To support the goal of expanding residents’ academic training, some of the school’s faculty serve as program directors, site coordinators and preceptors for the residency programs, which include programs at UMMC, the Veterans Affairs Medical Center, St. Dominic’s Health System and Baptist Memorial Hospital. The benefits of residency training are numerous, said Joshua Fleming, clinical assistant professor of pharmacy practice and director of the school’s ambulatory care residency program.